Spaces are limited for all retreats so confirm your space before the retreat you would like to attend fills. NOTE: Payment plan options available on all retreats. Call 1300 76 00 73 to organise a payment plan or deposit. Spend a week with Australia’s best hypnotherapist as you overcome your biggest challenges and transform your life. At the Seven-Day Think Slim Retreat you will feel like you have left the world behind as you take time out for the most important person in the world, you! You will be supported to change the way you think about food, activity and yourself. You will learn how to unload emotional baggage. And the best part is, the hardest thing you will have to do is; sit back, close your eyes and listen. Imagine being removed from all the distractions, temptations and problems of everyday life. This retreat is about you and your goal. Over the course of seven days you will attend workshops and classes that will totally transform the way you think about food and activity. You will learn how to overcome your most difficult challenges. You will become a master of self-hypnosis allowing you to apply what you learn to all areas of your life. If you are ready to break food addictions, say goodbye to old limiting beliefs and release emotional baggage then this retreat is for you. Seven days with like minded people in an environment that will allow you to totally change your habits. Seven days being coached to be the best version of you. 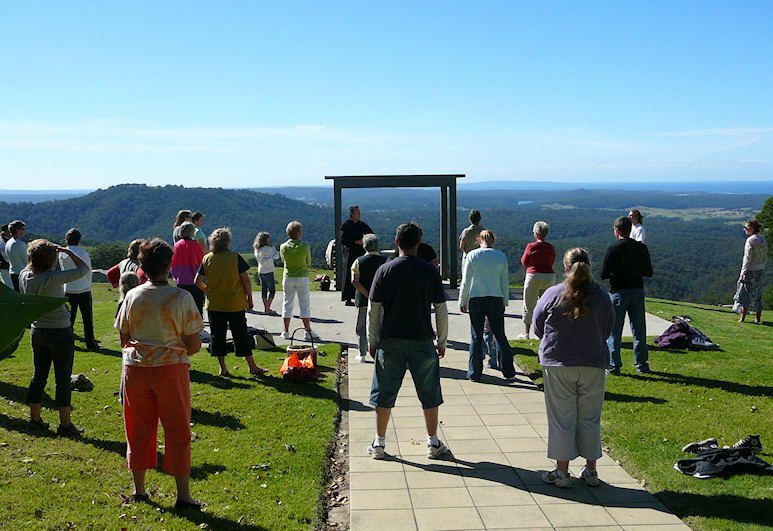 Seven days of activity, relaxation and healthy eating in one of the prettiest spots on the east coast of Australia. Ask yourself this. What will I be doing instead? When you leave you will be well-equipped for future success. Mark has helped thousands achieve their goals. Now it’s your turn. Hypnosis and therapy sessions from morning till night. Airport Transfers. 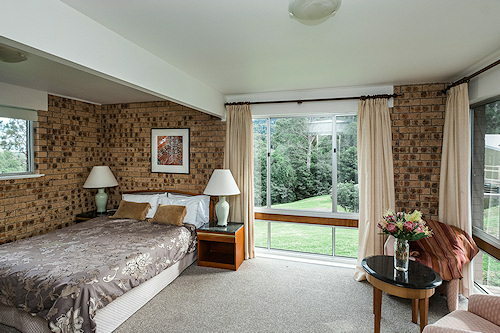 For Interstate travelers mini bus transfers to and from Sydney domestic airport are inclusive. The mini bus departs Sydney at 9am on day one and on the final day arrives back at the airport at approximately 5.30pm. Best to book return flights after 6 PM. Please plan to arrive early to the airport on day one of the retreat as the bus leaves the airport at 9 AM sharp. The retreat offers a variety of healthy plant-based meals while catering to allergies or food preferences. All food and juices are organic. You will also enjoy a variety of super healthy juices and smoothies. In your free time you can do as little or as much as you like. You can go for rainforest walks, play tennis exercise in the fully equipped gym or just sit under a tree and do nothing. This is time out for you. Escape the ordinary in a place like no other! This 14 acres of paradise is classed as Scenic Preservation Property. The 5 acres of private rainforest is a natural wonderland and home to many Australian fauna including; wombats, wallabies, lyrebirds and echidnas. 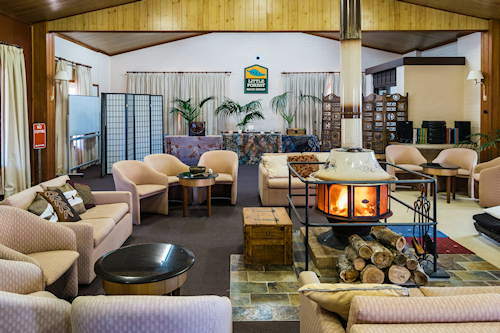 13 well appointed motel rooms are made up with linen, have ensuite bathrooms, reverse cycle air-conditioning, tea making facilities, bar fridge and ground floor access. For other pictures of the facilities and location, check out our gallery page. Meditation is a simple, practical and scientifically proven method to reduce stress, anxiety, depression and pain. Meditation is a relaxed focus and a way to calm the mind. It is the science of letting go. Meditation teaches us to be still and a way to return to our calm self. It is an inner holiday that helps us heal our mind and body. Hypnosis is a state of relaxation which has no side effects. When in the hypnotic trance like state you have; heightened suggestibility, focused attention and increased awareness. You are not asleep but you might feel sleepy. Positive suggestions or visualisation techniques are used during the relaxed state. This helps you to overcome specific problems or challenges. As far back as 1892 the British Medical Association approved hypnosis as a genuine therapeutic agent “frequently effective in relieving pain, procuring sleep, and alleviating many functional ailments. In the early 1900s a French pharmacist named Emile Coue discovered the power of autosuggestion. He’s accredited with the famous affirmation, “Every day, in every way, I am getting better and better.” It was Coue who discovered that it was the suggestion being accepted by the mind of the subject rather than the actual suggestion given by the hypnotist, which achieved results. He attested that negative thinking patterns could worsen an illness. The healing power of hypnosis was used for pain control during World War 1, World War II and the Korean War. Some prisoner of war hospitals used hypnosis as a substitute for chemical anaesthesia to assist with pain relief and to assist in recovery of Post-Traumatic Stress Disorder. Hypnosis can help you overcome challenges, improve study, conquer phobias, sleep better, relieve pain, stop smoking and of course shed the kilos. Some of the greatest athletes in history have used sports hypnosis to take them to the highest level. The important thing to remember is, all hypnosis is self-hypnosis.